Ghana midfielder star Kevin-Prince Boateng has shockingly revealed that his consistent cheating on his wife led to their divorce five years ago. The AC Milan star slapped his wife with the divorce notice after they duo quarreled over the Germany-born player's philandering way. 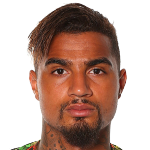 Alcohol fueled parties led to Boateng's consistent absence from home which led to serious disagreements between the two leading to the heart breaking divorce. 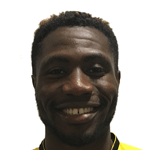 The midfielder, whose father is from Ghana, dated his ex-wife for four years before they got married and had a child by the name Jermaine. Boateng's romance with Jenny came to an end after he played for Ghana at the 2010 World Cup says his constant cheating with other women led to his divorce with the German. “I sometimes drank too much, and lost Jenny because I was out all the time and also with other women,” Boateng stated in his biography, which is now on sale.